A couple of days ago, EA released a major patch update for FIFA 18, giving players the "World Cup Edition" of the game for free. 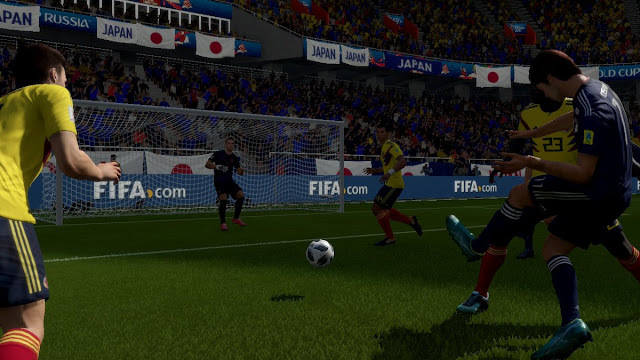 Now, in addition to the standard FIFA 18 game, you also get access to the fully licensed World Cup; all the teams, players, and the full tournament to play through. The patch was timed to accompany the World Cup itself, of course, which kicks off in Russia in just a few weeks. And it wasn't given away for free for altruistic reasons - we all know EA wouldn't do that. The World Cup update is being used as a vehicle to sell more of those Ultimate Team "card packs," which fuel most of EA Sports' revenue these days. But you don't need to buy the card packs or play that version of the game to play the World Cup tournament itself, and as someone who never bothers with the Ultimate Team nonsense, and who prefers the international teams competitions to club matches, this update has been a real delight 'gift' to me. Money saving, too. 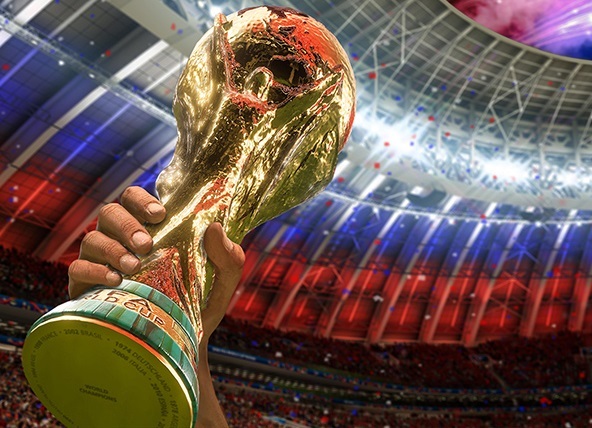 In previous years EA has released the World Cup edition of FIFA either as a standalone package (thus essentially asking you to pay all over again), or as a DLC pack. I would always end up paying for this because, again, I prefer international competition, but it could get expensive to be buying both FIFA and FIFA World Cup Editions. Now, it's all rolled into one single purchase. I'm very happy about this. EA didn't spare any expense with the license either. The presentation of the World Cup part of FIFA 18 is very much as though it were a different game. The menus and graphics are all authentic to the tournament's own design. Because the tournament takes place in Russia this year, the art, right through to the text fonts, has a delightfully exotic style to it, and all the Russian stadiums that will be used for the event have been faithfully and authentically recreated in the game. The only disappointing thing is that there's no option to "swap out" teams to create your dream World Cup experience. This year's World Cup is notable for a number of iconic teams failing to even make the first round draw. Italy and the USA, for example, did not to qualify for the World Cup. In previous World Cup games there's been the option to play through the "road to the World Cup," so that you could even lead a team of absolute minnows, like Mongolia, to ultimate glory. And, yes, I did do that with the South Africa World Cup release. Here, though, you're restricted to playing the 32 teams that actually made the World Cup. On the one hand this allows EA to maintain the authentic atmosphere of the event (and the new commentary recorded includes most - if not all - of the player's names, as far as I can tell), but on the other hand a lot of players won't be able to play as favourite national team, or enjoy the challenge of guiding a real underdog to victory. But that's a minor complaint in the grand scheme of things. 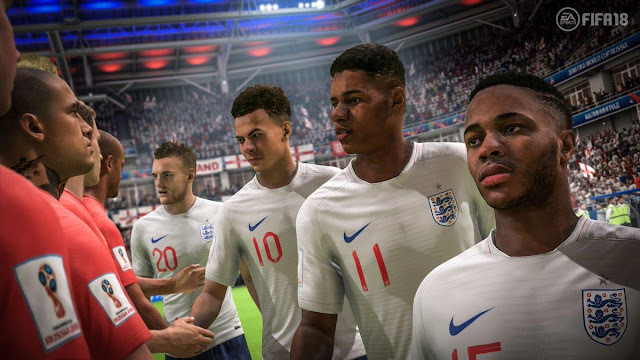 What's important is that EA has done a lovely job of bringing the World Cup experience to FIFA 18, and the changing business models around the FIFA property mean that EA has been able to do so for free - almost as a loss leader. I know that people have issues with EA (most of them totally justified), but this is basically the perfect update and has had me playing FIFA 18 on my Nintendo Switch all over again. Go Japan! (yes, that's right, I don't get behind Australia when it comes to football).